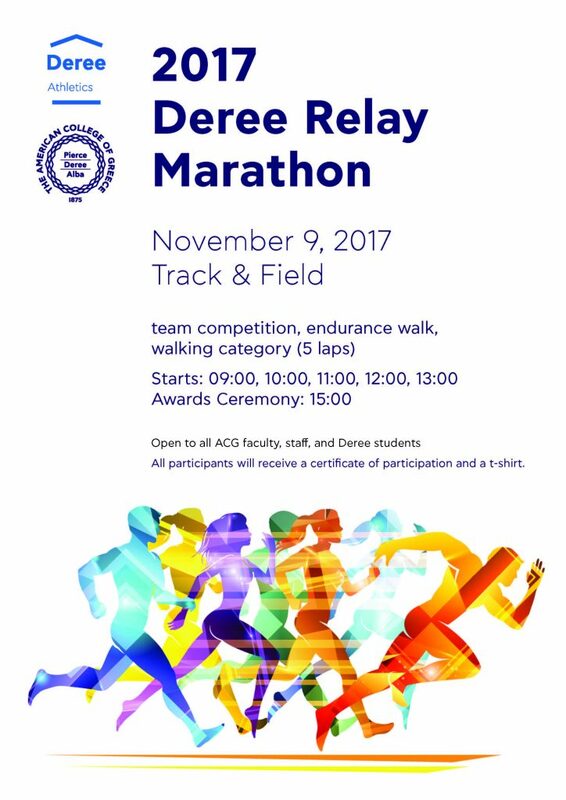 We invite all Deree students and ACG Faculty & Staff, to participate in the 17th Relay Marathon in team competition, endurance walk, or walking category (5 laps). All participants will receive a certificate of participation and a commemorative t-shirt. 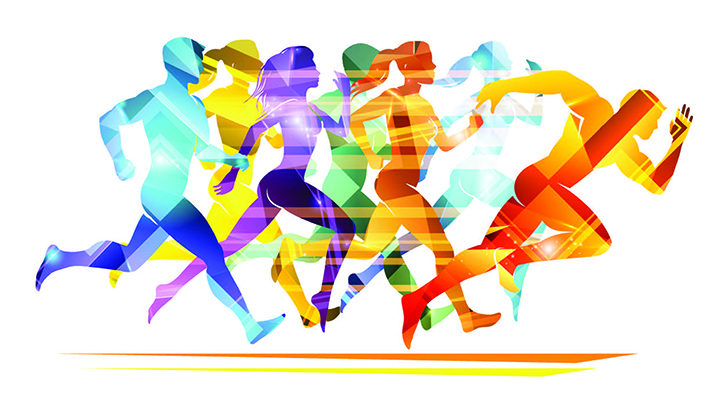 There will be five (5) starts at 09:00, 10:00, 11:00, 12:00, 13:00 and the awards ceremony will take place at 15:00 at the track & field. For information and registration, please call Ms. Nomikou at ext.1319, Mr. Koutras at ext. 1365, or stop by the Office of Athletics.